THEY may already be looking forward to the coming 40th season of the PBA, but popular Fil-Australian twins David and Anthony Semerad are aiming to accomplish one more thing for San Beda before they finally leave college life for the pros. Both are also looking to finish their studies at the Mendiola-based school. “We have six subjects left pero malapit na. Sayang naman if we won't finish it,” added Anthony, who like his brother, is taking up business marketing. 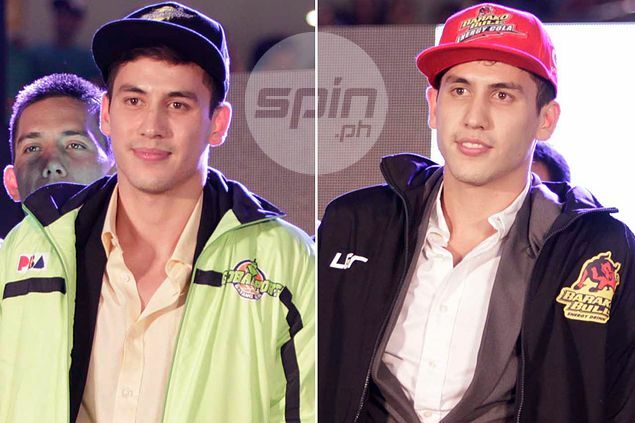 The Semerads, whose father is from Czech Republic while their mother is from Pampanga, were selected during Sunday’s PBA Rookie Draft, with Anthony chosen by Globalport in the first round at no. 7 and David landing at Barako Bull as the 10th overall selection. Despite their good looks, the brothers admitted they are not afraid to bang bodies and suffer bruises once they get exposed to the brand of plays in the pro league. “Oh I'm not afraid. In fact I have four stiches on the nose, three metal plates in my jaw, so I'm not afraid of the physical plays” said Anthony, who was born five minutes after David. Their exposure in the NCAA, where they had been a part of the Red Lions’ four straight men’s basketball championship, had readied them for the expected physical brand of game in the PBA. “Definitely, our exposure in the NCAA is an advantage in the PBA,” stressed the 6-foot-3 David, who together with Anthony, once tried out for Letran and Ateneo, but eventually settled with San Beda. The PBA marks the first time the Semerads, who are under the ALV Sports Management under president Arnold Vegafria, will be playing against each other in a competitive league. And the two vowed not to be nice against each other inside the court. “We are a family but on the court, I'm pretty strong on the court, he's going to feel my body and my elbow,” said David, while trying to mimic at throwing a punch against his younger brother who was just seated beside him.